Sony's bringing its A-game this year. After a mostly disappointing year of Sony smartphones (ahem, Xperia X and X Performance), the company might have just built its finest yet. Say hello to the Xperia XZ Premium, a high-performance sequel to last year's XZ that ticks just about every box on our list when it comes to flagship devices. The few things the XZ didn't exceed out early expectations on might be the device's undoing, but for now, Sony seems to have gotten enough right that we're willing to see where the XZ Premium takes us. The Xperia XZ Premium is a beautiful device in that rounded, slab-like way Sony loves, but the look ultimately hasn't changed much since last year. I personally don't mind -- I think there's still plenty of mileage to be squeezed out of this classic Sony look. Still, there's no denying that high-end smartphones are losing their bezels left and right, like LG's G6 and the as-yet-unrevealed Galaxy S8. Beyond just being visually striking, a smaller bezels means more screen in physical packages that aren't necessarily bigger than before. Sony has made its fair share of phones with skinny bezels, but eliminating all that space above and below the XZ Premium's screen is probably next to impossible for now. After all, there is a lot going on here. The screen I just mentioned is a 5.5-inch panel running at full 4K (like the Z5 Premium of yesteryear) that also supports HDR content. Sadly, I haven't seen much HDR content on this screen since the device we played with was far from finished, but the panel is awfully pretty even when I just swiped through the interface. Lag was basically non-existent, too, though that shouldn't really be a shock. Aside from the ZTE Gigabit phone floating around here somewhere, the XZ Premium is one of the few devices powered by Qualcomm's Snapdragon 835 chipset (complete with 4GB of RAM) here at the show. Word of Samsung gobbling up all available 835s for Galaxy S8s might have been blown out of proportion. Still, Sony has only said the XZ Premium will launch in the US some time in the Spring, so Samsung has a strong chance of beating it to store shelves. 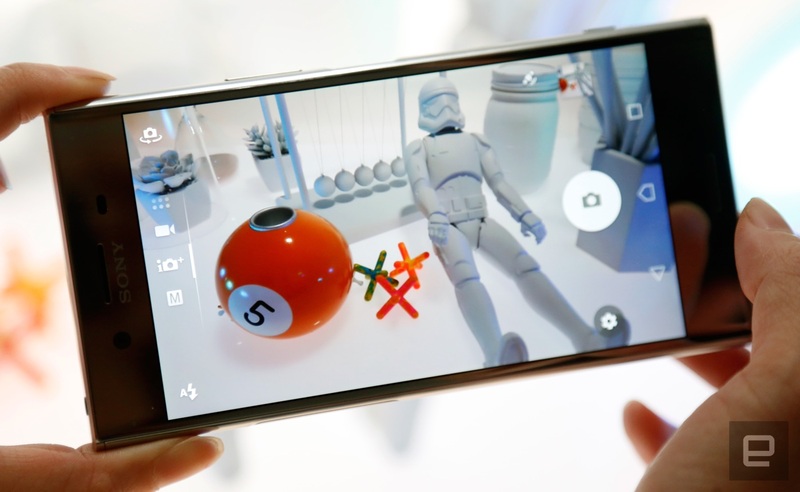 Sony claims this results in image scanning five times faster than before, helping the XZ Premium become the first smartphone to capture slow-motion video at 960FPS. Seriously. Again, our tester unit wasn't quite set up for this, but I'll update this story when we get to try it out. The test shots we took came out with a lot of detail and vivid colors, though. Throw in some predictive capture to make sure you never miss a once-in-a-lifetime moment because of your poor, human reflexes and we've got a hell of a package. There's at least one strange omission, at least as far as the US model is concerned. There's no fingerprint sensor that one, which I'm still trying to wrap my head around. 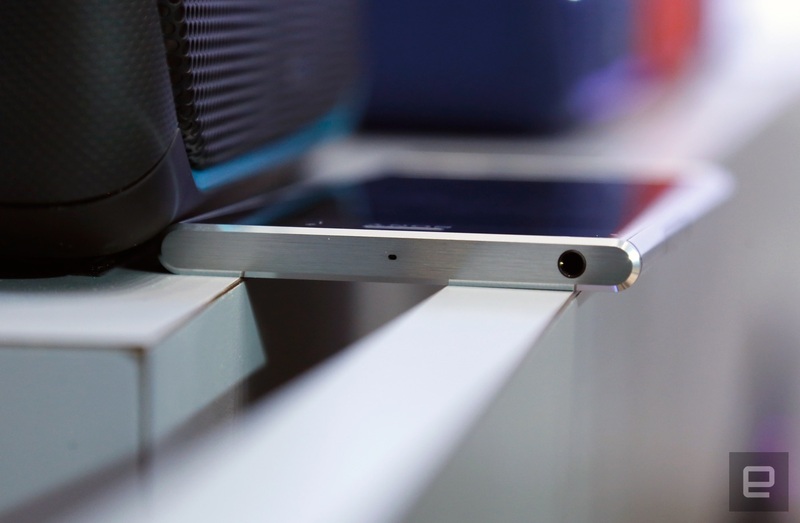 For now, our biggest concern is the battery. Check this out: the XZ Premium has to power a brand new, high-power Snapdragon and a full, 4K display with a 3,230mAh battery. Sony swears up and down that its Smart Stamina mode will keep the phone running for a while, but man — I have some serious qualms about the company's choice. The XZ Premium is by no means a small phone, so not using an even more capacious battery is pretty puzzling. For those really concerned by this, the smaller Xperia XZs might be the more logical choice. It runs with a more common Snapdragon 820 and a 5.2-inch, 1080p screen that should ease the load on its 2,900mAh battery considerably. Sure, you'll lose out on the sheer wow factor that comes with the Premium, but in our time together, the phone ran like a charm and retains that excellent camera setup. 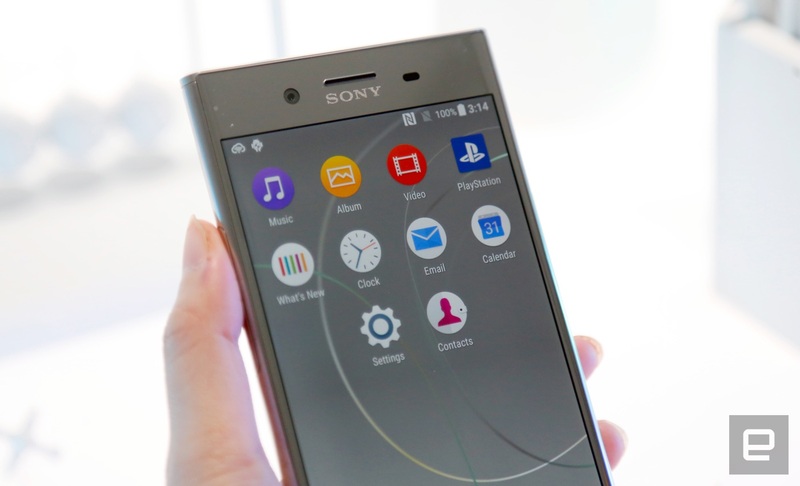 Sony hasn't yet said how much the XZ Premium will cost at launch, but I'm almost irrationally excited anyway. I can't remember the last time Sony gave me this kind of rush. 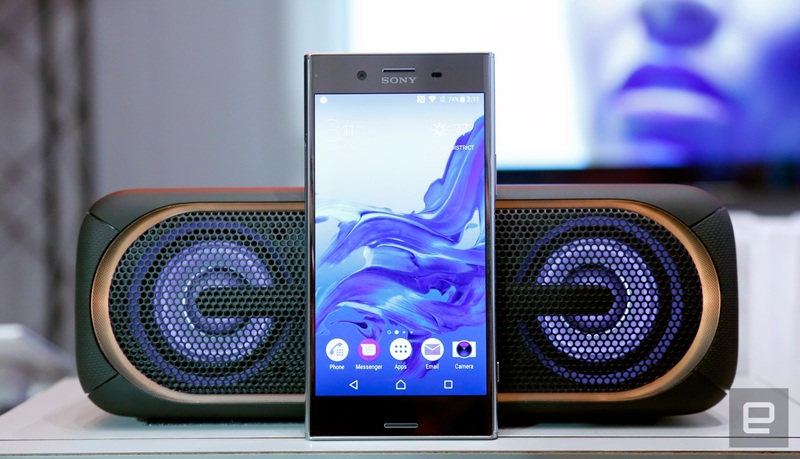 If the battery manages to exceed expectations, we might be looking at a real rock star, the kind I didn't think Sony would make again. There's still plenty to see at Mobile World Congress, so stay tuned for more -- hopefully the XZ Premium stacks up well against the competition.